Sarah Elizabeth Williams was born on 17 November 1846 to Luticia and Jesse Williams in DeKalb County, Tennessee. She married on 1 February 1867 to Dennis Stell Cargile. [Dennis Cargile was born on 11 December 1846 in Arkansas.] Together they had eight children, listed below. Sarah died on 21 June 1891. Following her death Dennis married (2nd) to Emily Rackliff on 11 January 1893 and together they had one son. He then married (3rd) to Lucy A. Bell on 31 July 1897 and together they had three children. 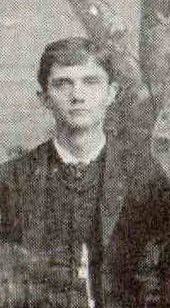 Dennis died on 10 March 1923. Both he and Sarah are buried in the Quitman Methodist Cemetery in Quitman, Cleburne County, Arkansas. Sarah’s tombstone carries the inscription, “Not lost but gone before,” a reference to 1 Thessalonians 4:13-18. In this passage Paul is comforting the bereaved; although Sarah had died before her husband, she was “not lost,” but had instead merely gone before him to heaven where she would soon meet him again. Laura Elizabeth Cargile was born on 9 February 1864 in Arkansas. She married Jackson Ross Beckett on 23 December 1891 in Cleburne County, Arkansas. [Jackson Beckett was born on 16 February 1858 in Talapoosa County, Alabama, to William Marion Beckett and Lucinda Miles.] Together they had five children. Jackson died on 28 September 1843 and Laura followed on 3 March 1904, both in Beckett Mountain, Faulkner County, Arkansas. They are buried in St. Mary’s Cemetery in Rose Bud, Arkansas. Pearl Estelle Beckett was born on 17 January 1893 in Beckett Mountain, Faulkner County, Arkansas. She married Emmet Fletcher Cook on 26 December 1915. [Emmet Cook was born on 7 February 1881 in Kentucky to Martin L. Cook and Sarah Airn.] They had two children. Pearl died on 3 February 1956 and Emmet followed less than a year later on 7 December 1956. Cecil Sherman Cook was born on 6 April 1917 and died on 20 July 1997 in Rose Bud, White County, Arkansas. Hazel Louise Cook was born on 9 March 1919 in Beckett Mountain, Arkansas. She married Lloyd Barrett on 14 May 1939. They lived in Searcy, Arkansas, for awhile after their marriage and also lived a brief time in Fresno, California, where Lloyd was stationed during early World War II. However, they made Cabot, Arkansas, their home not long after the war and raised four children there. Several years after her husband’s death in 1989, Hazel moved to Trillium Park Retirement Living Community in Conway, living there until 2013 when she moved to Russellville to be near her daughter. Hazel was a successful homemaker and great jelly-maker. She loved reading and watching the news to keep abreast of current events, and she loved watching the Arkansas Razorbacks play. She was a member of the Mt. Tabor United Methodist Church and an active member of the Eastern Star until leaving Cabot. Hazel died on 20 February 2014 at the Russellville Nursing and Rehab Facility in Arkansas. Montene Leach was born on 13 November 1913. She married James Creed Skaggs and they had three daughters. Montene died on 29 July 2013 just shy of her 100th birthday. Maxine Leach was born on 5 April 1916. She died soon after on 29 September 1916. William Skelton Leach was born on 19 September 1923 and died on 30 September 1993 in Conway, Faulkner County, Arkansas. Harrol J.D. Leach was born on 15 March 1927. On 1 May 1945 he married Ola Mae Carmichael (born on 7 May 1925). Harrol was a pipeliner and truck driver, a Mason for more than fifty years, and a Mount Vernon Township committeeman for many years. He was an Army veteran and a member of Mount Vernon Baptist Church. Harrol and Ola had three sons and a daughter. Harrol died on 3 February 2003 and is buried in Mount Vernon Cemetery in Arkansas. Bernice Leach was born on 30 July 1929 in Beckett Mountain, Faulkner County, Arkansas. On 18 February 1949 she married Carroll Hawkins in Conway, Faulkner County, Arkansas. [Carroll Hawkins was the son of Alonzo and Mabel Hawkins.] She was a homemaker and member of the Mt. Vernon Baptist Church. She and Carroll had two sons and a daughter. Bernice died on 11 September 2010. William Bryan Beckett was born on 21 December 1896 and married Ruth Wools (born in 1900). William died on 6 August 1921 and Ruth died in 1983. Both are buried in St. Marry’s Cemetery in Rose Bud, White County, Arkansas. They had one child, Dennis Beckett (1918 – 1990). Ruby May Beckett was born on 16 May 1900. She married (1st) Guggy Edward Skaggs on 29 September 1927 in Faulkner County, Arkansas. [Guggy Skaggs was born in about 1901.] Ruby and Guggy had one child, Lloyd, listed below. Ruby married (2nd) Lowe Leach. [Lowe Leach was born in about 1896 as the son of Matterison Brownlow Leach and Sara L. Horton. Lowe died on 24 January 1923 in Becket Mt., Faulkner County, Arkansas, and is buried in St. Mary’s Cemetery in Rose Bud, White County, Arkansas.] Together they had three children, listed below. Ruby married (3rd) Ruffin R. Permenter and together they had a son, Leroy Permenter. [Ruffin Permenter was born on 4 Nov 1896 and died on 3 Dec 1951. Ruffin is buried in St. Mary’s Cemetery, Rose Bud, White County, Arkansas.] Ruby married (4th) Delmer Lawrence Sellers on 7 October 1843 in El Reno, Canadian County, Oklahoma. [Delmer Sellers was born in about 1892 and died on 18 July 1963 in Yukon, Canadian County, Oklahoma.] Ruby died on 13 May 1993 in Yukon, Canadian County, Oklahoma and she is buried with her fourth husband Delmer in the Yukon Cemetery. Lloyd J. Skaggs was born on 16 October 1928 to Ruby and Guggy Skaggs. Lloyd married a woman named Jean. Lloyd died on 22 May 1997 in Yukon, Canadian Co., Oklahoma. Raymond Edward Leach was born on 9 August 1918 in White County, Arkansas. He married Myrtle Oneda Harrison on 22 June 1940 in Faulkner County, Arkansas. [Myrtle Harrison was born on 10 June 1924 in Barney, Faulkner County, Arkansas, as the daughter of Jeff Augusta Harrison and Eunice Gertrude Baker.] Raymond died on 10 January 2000 in Conway, Faulkner County, Arkansas. Bonnie Dell Leach was born on 11 January 1921. She married Lyle C. Florence on 1 September 1940. Lyle was born on 10 July 1915 in Banner, Oklahoma, and grew up in Yukon, Oklahoma. He served his country in the U.S. Navy during World War II. His life was one of service to others, whether it was teaching Sunday School, delivering meals, or just cleaning up at church. Lyle’s work extended as a Hospice Volunteer, and just offering a hand to those who might need it, be they friend, family, or stranger. Bonnie died on 25 July 1961 and Lyle followed years later on 10 October 2006. Both are buried in Yukon Cemetery in Yukon, Canadian County, Oklahoma. Lorena Leach was born on 7 April 1923 and married George Black in Texas. She died on 26 December 2001 and is buried in Restland Memorial Park in Dallas, Texas. Miles Dell Beckett was born on 12 September 1903 in Beckett Mt., Faulkner County, Arkansas. He married Bertha Estell Wilson. [Bertha Wilson was born on 26 January 1904 in Cleburne County, Arkansas.] Miles died on 10 January 1964 and Bertha followed on 9 December 1989. Both are buried in St. Mary’s Cemetery in Rose Bud, White County, Arkansas. William Augustus Cargile was born on 4 November 1867. He married on 24 November 1895 to Norma Durham (born in August 1873). It does not appear that they had children lived their entire lives in Quitman, Cleburne, Arkansas. Norma died on 29 January 1941 and William died on 7 February 1944. Mary L. Cargile (“Mollie”) was born on 28 January 1869 in Arkansas. She married John Washington Hammock on 7 October 1894 in Cleburne County, Arkansas. [John Hammock was born on 2 Feb 1873 in Batesville, Independence County, Arkansas.] Together they had at least six children, listed below. Mary died on 22 February 1957 and John followed on 11 July 1961, both in Russellville Pope County, Arkansas. Mary and John are buried in Atkins City Cemetery in Pope County, Arkansas. Gilbert Dee Hammock was born on 27 September 1897 in Quitman, Cleburne County, Arkansas. He married Ola Louise Emmert on 28 Jan 1917 in Pope County, Arkansas. Together they had one child, Gilbert Dee Hammock Jr. (born on 11 December 1919). Ola died on 11 November 1960 and Gilbert followed on 26 November 1978. Both died in Pope County and are buried together in Atkins City Cemetery there. Virdie Eugene Hammock was born in about 1896. Bonnie Dell Hammock was born in 1901 in Quitman, Cleburne County, Arkansas. She married Henry Lee Strickland on 14 September 1922. [Henry Strickland was born on 18 March 1897 to John Bell Strickland and Sarah Cole.] Bonnie died in 1987 and Henry died on 17 October 1989. Both are buried in Atkins City Cemetery in Pope County, Arkansas. Together they had one daughter. Janelda Strickland was born on 7 April 1926 and died on 2 August 1965 in Russelville, Pope County, Arkansas. George C. Hammock was born in about 1904. Hazel Juanita Hammock was born in about 1907. Nancy E. Cargile (called “Nannie”) was born on 18 September 1871 in Cleburne County, Arkansas. She married Andrew Sherman Nisler (called “Sherman”) on 27 November 1890. [Andrew Nisler was born on 23 March 1867 in Van Buren County, Arkansas.] Nancy died on 22 November 1922 in Conway, Arkansas. Andrew died on 8 February 1930 and is buried in Plumerville Cemetery in Plumerville, Conway County, Arkansas. Herbert Paul Nisler was born on 12 November 1891. He died on 4 July 1912. Minnie Lee Nisler was born on 4 October 1893 and married George Milton Floyd. [George Flloyd was born on 18 January 1894 in Springfield, Conway County, Arkansas.] George died in December 1973 and Minnie died in October 1986, both in Ponca City, Kay County, Oklahoma. They had one child, Mary F. Floyd, born in 1916 in Oklahoma. Vernon Delemore Nisler was born on 15 February 1895 and died on 1 March 1967 in Morrilton, Conway County, Arkansas. Roy Sherman Nisler was born on 14 October 1897. He died on 15 January 1917. A.D. Nisler (a boy) was born on 30 June 1902 as a twin to his sister Lucille. He married Joyce Holder on 30 March 1925 in Conway County, Arkansas. [Joyce Holder was born on 7 November 1903.] A.D. died in November 1977 in Plumerville, Conway County, Arkansas. Joyce died on 23 March 1998 in Helena, Phillips County, Arkansas. Lucille Nisler was born as a twin to her brother A.D. on 30 June 1902 in Conway County, Arkansas. She married Calvin Curtis Pettingill in about 1921. [Calvin Pettingill was born on 7 Oct 1896 in Arkansas.] Calvin died on 29 October 1975 and Lucille followed in death on 3 March 1996. Both are buried in Plumerville Cemetery in Plumerville, Conway County, Arkansas. They had one child, Margarette Pettingill, born in 1922. Robert Olin Nisler was born as a twin to his brother Roger on 22 April 1905. He married Martha Ruth Hamm (1908-1970) and died on 13 March 1965. Both are buried at Elmwood Cemetery in Conway County, Arkansas. Roger Owen Nisler was born as a twin to his brother Robert on 22 April 1905. Roger married Overa “Vera” West on 20 January 1924 in Conway County, Arkansas. [Overa West was born on 27 January 1904 in Arkansas.] Together they had one child. Roger died on 2 May 1970 and Overa followed on 19 October 1995. Both are buried in Pleasant Cemetery in Conway County, Arkansas. Roger Owen Nisler Jr. was born on 20 November 1924 in Conway County, Arkansas. He married Ellen Griswood. [Ellen Griswood was born on 26 November 1926 in Conway County, Arkansas.] Roger died on 29 July 1963 and Ellen followed on 22 December 1996, both in Conway County. William Cargile Nisler was born on 30 November 1910 in Conway County, Arkansas, and died on 12 December 1978 in DeMott, Chicot County, Arkansas. 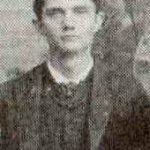 Jesse Delemore Cargile (a twin) was born on 20 August 1873 in Quitman, Cleburne County, Arkansas. 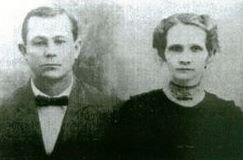 He married Adella Claire Jones on 23 December 1912 in Conway County, Arkansas. [Adella Jones was born on 15 March 1885 in Prairie County, Arkansas.] Together they had two children. Jesse died on 27 November 1951 and Adella died on 26 December 1958, both in Morilton, Conway County, Arkansas. 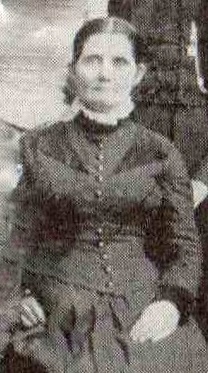 Dorothy Louise Cargile was born on 21 November 1914 and died on 14 December 1874. Robert Stell Cargill (a twin) was born on 20 August 1873 in Quitman, Van Buren County, Arkansas. He died about one year later in 1874. 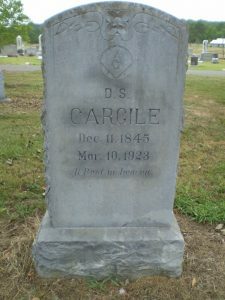 George Marvin Cargile was born 26 August 1878 and died on 5 December 1895. He lived his entire life in Cleburne County, Arkansas. Olin Pierce Cargile was born on 22 March 1886 in Van Buren County, Arkansas. He married on 5 February 1914 to Ruth Ann Daves but she died soon after on 1 May 1915, likely from a failed childbirth. Olin later married on 10 October 1916 to Bessie Lee Ingram (born on 18 August 1893 in Arkansas). They had several children together, listed below, and spent most of their life in Oklahoma. Olin died on 24 July 1945 and Bessie died on 20 September 1976. Margaret Inez Cargile was born on 5 November 1917 in Kusa,Oklahoma. She died on 21 April 1924. Kenneth Cargile was born on 30 April 1919 in Kusa, Oklahoma. He died on 13 December 1982. Betty Nell Cargile was born on 31 May 1925 in Pharoah, Oklahoma. She died on 26 December 1996 in Buckeye, Arizona. Olin Pierce Cargile Jr. was born on 7 January 1931 in Weleetka, Oklahoma. He died just weeks later on 23 January 1931.